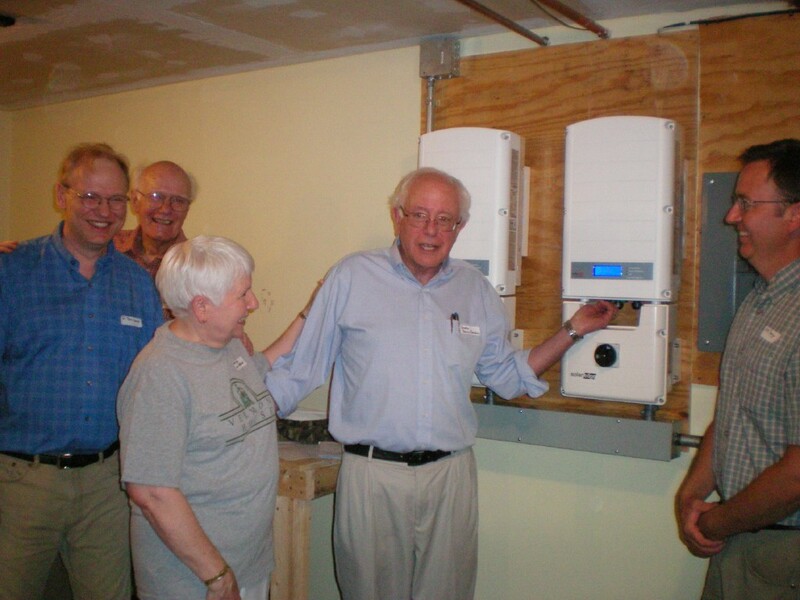 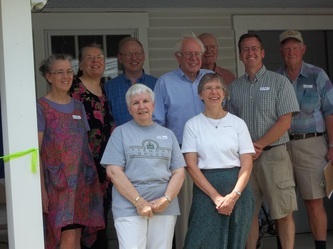 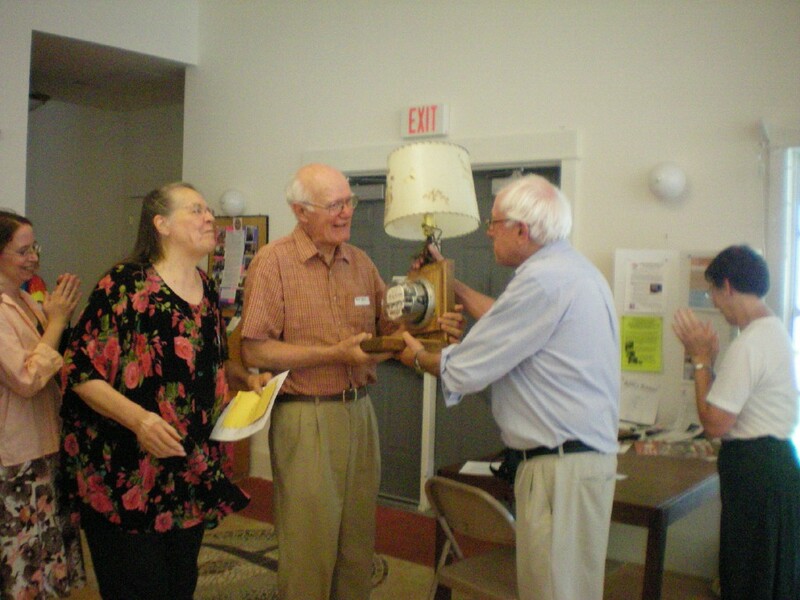 Thanks to Senator Bernie Sanders who was in town on Friday, July 19 to assist us in powering up the newly completed solar net metering project at the church. After last minute adjustments, he was on hand to throw the switch which allowed the solar panels on the roof to begin sending electricity to the grid. 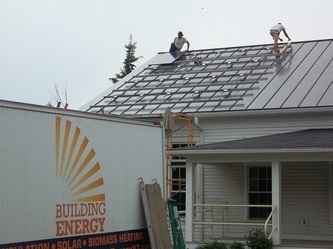 This project came to fruition in a relatively short time. 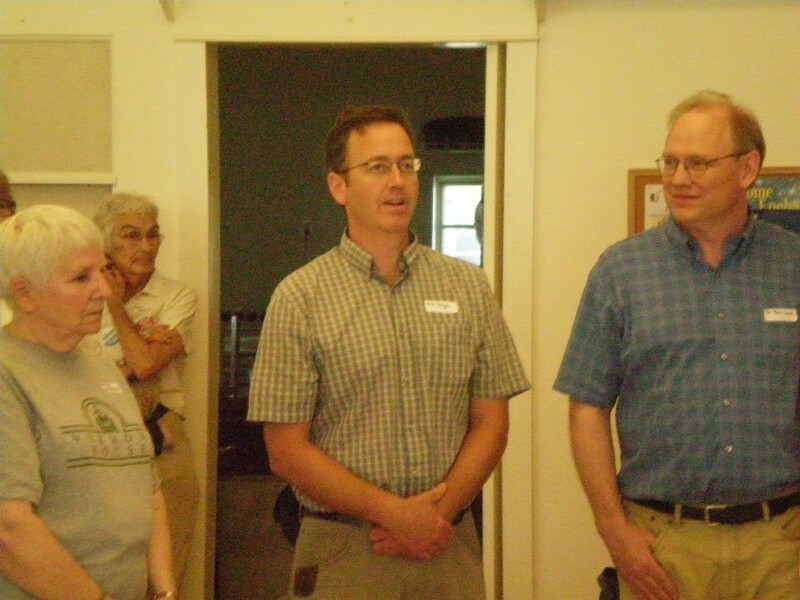 A committee was formed by Dr. Ben Luce during the summer of 2012 touting the benefits and feasibility of solar energy. 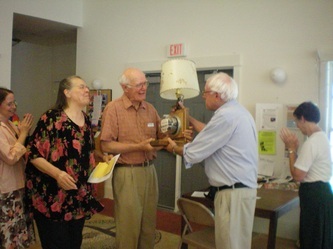 On October 7, a straw vote was held in the congregation, which gave the committee the green light to continue. 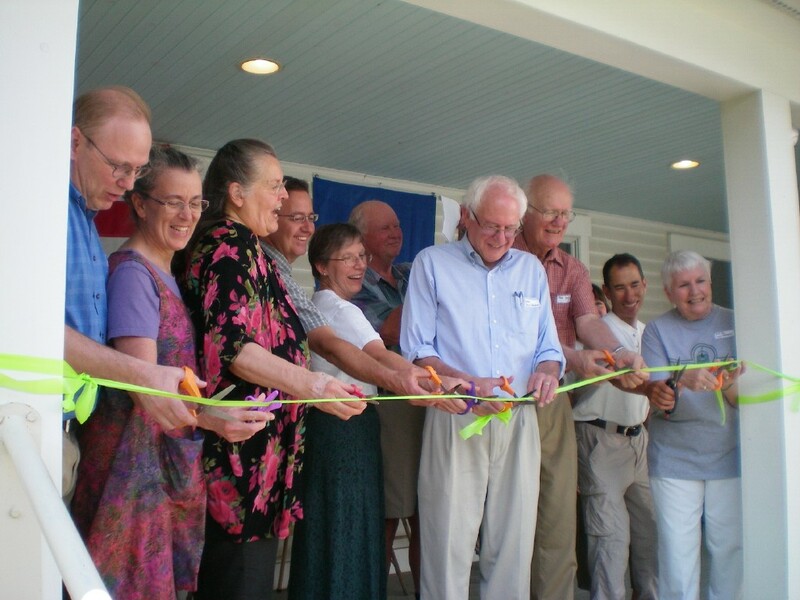 "Respect for the interdependent web of all existence of which we are a part". Feel Free to click on the link below to see how our solar panels are doing!